Under the guidance of Paul Stephenson (Wildlife Trust for Birmingham and the Black Country) a small group of volunteers met around 10:30 at the Tower Road end of St. Brades Close. 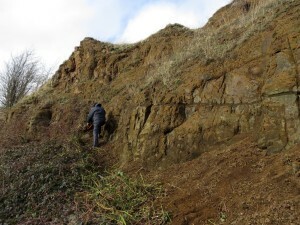 The day was very windy but the group cleared an area of bramble to expose more of the dolerite quarry face with some great spheroidal weathering. According to Paul, work has begun to build a cairn with an interpretation plaque on top, and adjacent stone seating made from the dolerite, situated close to the cleared exposure. Work started on 28 February and continued through March. 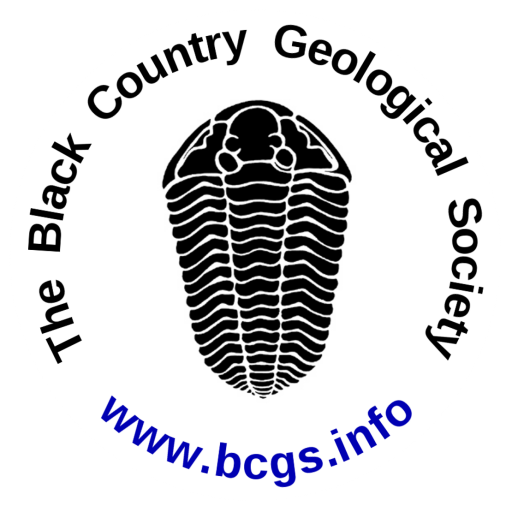 Paul says that he will be only too happy to show BCGS members round the site should they be interested.